I am now writing my win loss analysis book in earnest, over 2500 words, and adding at least 500 per day although I take Sundays off. This is a hard question to answer. While there is some commonality among the questions you want to ask your customers and prospects based on your industry and the things sales, marketing and product developers want to know; you need to use your creative juices. 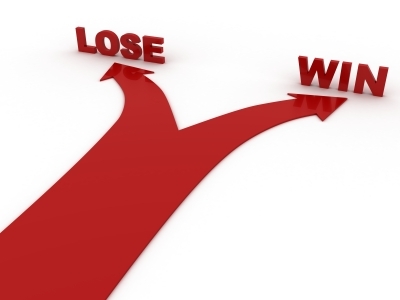 You also want to ask the right questions to answer your goals for conducting win loss interviews and analysis. For example, you might want to learn how your product or service is used, since it might be different from your company’s intention. Product developers will eat this up. Sales people will too if it means they can sell more. Creativity aside, below is my template to stimulate your line of questioning for win loss interviews. I hope this helps you create your win loss interview questions. 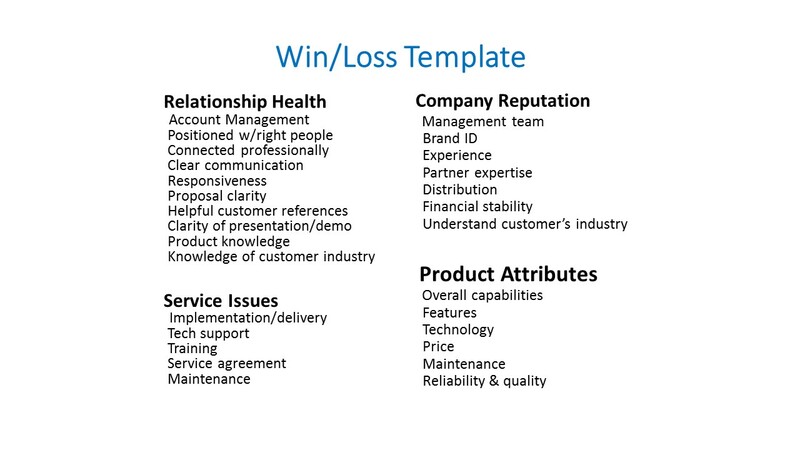 Stay tuned for more tips on how to set up and execute a win loss program to help retain and grow your business.